BEIJING (Sputnik) - The solution to the nuclear problem on the Korean Peninsula is in the hands of two directly involved parties - the United States and North Korea - and Beijing hopes that said parties will be able to meet halfway to resolve the protracted crisis, the Chinese Foreign Ministry's Spokeswoman Hua Chunying said Thursday. Commenting on the new anti-DPRK sanctions imposed by the US on Wednesday, Hua Chunying said that Beijing will scrutinize the China-based firms that found themselves in the new US sanction lists. However, she said that the Chinese authorities will take action only if those entities violate UN Security Council resolutions or Chinese laws. She went on to note that the settlement of the problem of the Korean Peninsula is in the hands of the United States and North Korea. "The Chinese side hopes that the United States and North Korea will be able to meet each other and will manage to take advantage of the window of opportunity that has now appeared and will take an important step toward resolving the existing problem through negotiations," Hua said. The Chinese side notes that the situation on the Korean Peninsula has relaxed more than ever and expects this trend to continue, the diplomat said. "We hope that the positive trend of cooperation between Seoul and Pyongyang will continue, and at the proper time it will be able to switch to a political dialogue on a settlement on the Korean Peninsula, which is extremely important. It is also very important that this constructive interaction between North and South Korea is transferred to a dialogue between the United States and North Korea," she stressed. China believes that the six-party talks on the Korean nuclear crisis must be renewed, as they played an important and irreplaceable role in the settlement of the issue, Hua added. The six-party talks were launched in 2003 with the goal of ending North Korea's nuclear program via negotiations involving Russia, the United States, China, Japan, North Korea and South Korea. The negotiations reached a stalemate when Pyongyang withdrew from the talks in 2009 and carried out several nuclear and ballistic missile tests since then. 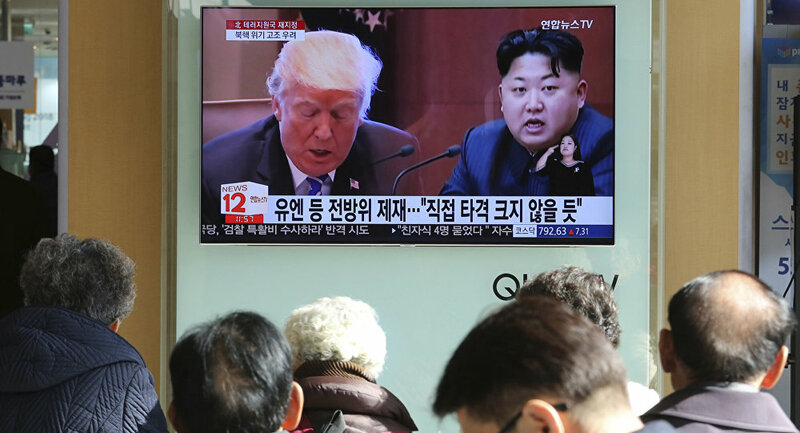 The situation on the Korean Peninsula grew particularly tense last year, as Pyongyang continued to pursue its nuclear and missile programs despite warnings of the international community. The UN Security Council imposed several rounds of sanctions on Pyongyang last year, in particular forbidding oil sales to North Korea and buying textiles from the country. Nevertheless, the two countries agreed this month after several rounds of talks to send a joint women ice hockey team to the PyeongChang Winter Olympics in an effort to ease bilateral tensions.